Recently, the Department of Regulatory Agencies for Colorado finalized a bill to create relief for agents who are supporting clients with Health Insurance Policies that are not commissioned by the carrier. Insurance producers are now allowed to charge a fee for policies that are not paying a commission. Business has changed a lot in the last five years. Some Insurance Companies have left Colorado, other Insurance Companies have chosen to pay significantly reduced commissions, lessened their network footprint to lower their cost on the policy, and some Insurance Companies are not paying anything at all. We have new carriers as well and we are charged with understanding all of these carriers business practices, networks, medical benefits, drug lists, and pricing so we can properly compare it for you for your 2019 needs. We would like to update you on our corresponding business practices. We are now charging a fee of $250 for any insurance policy that is not commissionable. This price is per policy, per year (not per person on the policy). If a household has more than one policy, that household is charged per application. We cannot make exceptions as the Department of Regulatory Agencies is forcing us to either charge or not charge and due to the carriers increased lack of payment, we must charge this nominal annual fee to keep the Agency open. We are willing to tell you at the time of the appointment if this fee applies to the policies you are considering. Most policies will NOT have a fee. We are offering extended appointments. Our appointments now run 45 minutes long with the intention of dialing-in your precise needs including a review with all available carriers. We would like to be sure we compare what you have now and what is available going forward, perform a doctor search, discuss the benefits of Traditional Plan styles vs. HSA plan styles and walk you through the premium differences. Before you buy, we will be able to state if the plans you are considering are commissionable or will include a policy fee. To this end, we are asking for a hold on a credit card of $25 to make your appointment. This fee drops off when the appointment is completed but the appointment fee becomes a no-show fee if a cancelation or a rescheduling is not done within 48 hours of the appointment. This keeps our Agents from having gaps during Open Enrollment and allows for us to secure more time to review your needs and be sure we have all we need to complete your application for insurance. We are no longer servicing the needs of PEAK or the Department of Medicaid. We cannot keep up with the errors, changes, concerns, issues and difficulties that the Department of Medicaid is presenting and still be able to properly sell and service the policies. Our scope of business encompasses the explanation and sale of Health Insurance, Medicare Supplement Insurance, Life Insurance, Accident, Dental, Vision and other Ancillary policies as well as Group Health Insurance and more. We are not a free service to the state nor employees of the Department of Regulatory Agencies. We are not willing to spend countless hours to correct their errors, we simply cannot afford to be subject to the communications issues they present and the weeks it takes to correct them. Get assistance with their application with ConnectForHealthCO by contacting an outside assistance program. This year we are recommending Application Station for your needs. Their website can be found here: https://applicationstationcolorado.com. 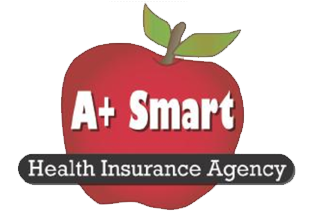 Our office will only make appointments for people who’s tax credit is complete within the ConnectForHealthCO system and visible on their website. As a service to those who do chose to go forward with a tax credit, we will be glad to let you know when the system is open and ready for you to work with them and provide that link to you. Thank you for your understanding and we look forward to protecting your finances in 2019!